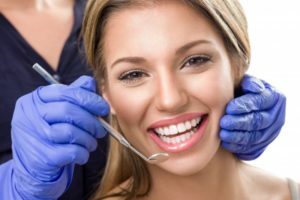 What Can You Expect When First Meeting a Dentist in Marrero? Has it been longer than 6 months since your last dental visit? If so, it’s time for your routine dental cleaning and checkup! Plus, this is a great time to get to know your new dentist and how they can help you on your journey to better oral health. Learn more about what you can expect during your very first appointment with your local dentist in Marrero. What is it like to visit a dental office for the very first time? If it’s been a long time since you’ve visited a dentist, you will need to catch your new dentist up to speed. The initial appointment with your dentist will consist of an open conversation about how your oral health has been since you’ve visited a dental office in the past. Have you experienced any symptoms in the past few months? Do you currently take any medications that could affect your teeth and gums? Your dentist will most likely pull from your medical records to understand what could be affecting your smile from the inside out, fulling understanding the current state of your oral health. Then, you’ll proceed with a thorough dental exam and professional cleaning. During this exam, our team is searching for the earliest symptoms of dental issues: a soft spot on the surface of a tooth that may indicate the beginning of a cavity, gum pockets that are enlarged can be a sign of gum disease, an abnormal tissue could be a sign of oral cancer. There are many things that a dentist may be able to spot in your smile that’s just not noticeable to the untrained eye. Your dentist will also take dental x-rays to view the inner and outer structures of your teeth. Once these have been snapped, they will be stored in your file for future reference! During your dental cleaning, one of our skilled dental hygienists will thoroughly clean between each of your teeth. This helps remove plaque build up and tartar from the smile—both catalysts to major dental problems like decay or gum disease. This is one of many ways that your dentist is able to ward of dental concerns. You can also ask them about preventive care services like fluoride treatments or even dental sealants to keep cavities far from your teeth. When was your last dental visit? As you can see, preventive care is the key to maintaining a great smile. So, if it’s been longer than 6 months, you should schedule your visit with us sooner than later! Here at Lapalco Family Dental, we work to provide excellent dental care with modern practices. But we will always provide the same traditional customer care that has worked for us for years—personalized treatments and procedures that cater to your needs. If you need to schedule an initial dental visit, don’t be scared to give us a try! Comments Off on What Can You Expect When First Meeting a Dentist in Marrero?